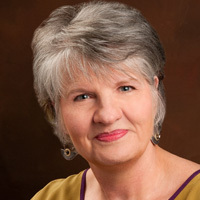 Leslie Pate Mackinnon, L.C.SW, is a seasoned and well-respected therapist in the adoption community who works with individuals, families, and couples and runs several groups. In addition to her general practice, she specializes in working with individuals and families conceived through adoption and third-party reproduction. Leslie is a nationally known trainer who travels across the country training therapists, agencies and child welfare workers about psychological issues inherent in adoption and third-party reproduction. For people outside the Atlanta area, she offers phone and Skype consultations.